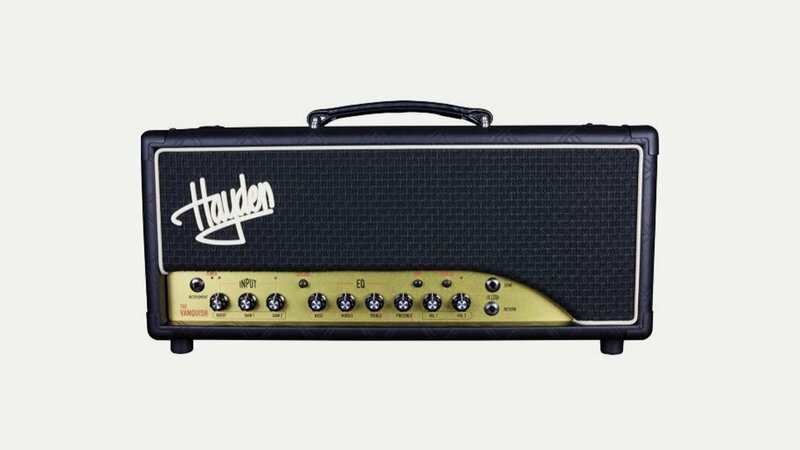 Hayden Amps – British valve guitar amps with style and tone designed by legendary designer Dave Green. Handmade in Essex UK with traditional values combined with modern features using the finest quality components and built with care and devotion. These are the features and characteristics that give each Hayden amplifier its own identity and individuality, this is also why night after night Hayden is the choice both on stage and in the studio for artists such as Biffy Clyro, The Libertines, Eagles Of Death Metal, Stevie Salas, Pulled Apart By Horses, Phil Hilborne, All The Young, Andy Johns (Producer) and many more. Their range includes the DB2, the Vanquish, the Vantage, MF, Classic and Mofo.